The Big 4; Verizon, AT&T, Sprint and T-Mobile, continue to compete for your business and it looks like they will stop at nothing to promote their plans and service, especially unlimited plans. The problem becomes identifying the best carrier and service to support your actual business requirement, understanding your requirement, and knowing the details behind the carrier offers. For example, Sprint just launched a limited time deal (through June 30th) that offers a year of unlimited talk text and data to BYOD users who migrate away from incumbent carriers. However, like all carriers, the unlimited data is not TRULY unlimited and data will be deprioritized at a certain point especially where there is congestion on the network…which there will be. Also, there is specific account criteria required to get this deal; auto-pay, online billing, unlocked devices, etc. What is the current usage requirement? Do you really need unlimited plans? You should understand if usage is consistent or has fluctuation patterns due to seasonality or specific projects, and how that might change throughout the year. What about international needs. Identifying planned travel can mitigate costly roaming charges and allow proper planning and allocation of international packages. What about other miscellaneous add-on plans that have a lower monthly cost, can be added and removed on the fly, and offer additional bandwidth for voice, texting, and data as well as global needs. Before you can pick the best service plans, you should determine the best approach to your wireless account. 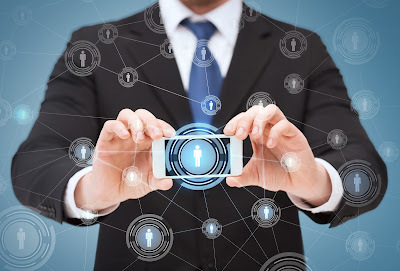 Does a corporate liable program make sense versus a BYOD or stipend methodology? How can this decision impact share plans and data requirements? Are you optimizing your plans on an ongoing basis to ensure proper management as your profile changes? Are you even taking advantage of all contracted services that might offer more customized plans to support your profile compared to the generally available business plans? How will upcoming projects or potential mergers/acquisitions impact my account? Is there a growth opportunity that might encourage better pricing and incentives? Should you keep a terminated user’s line on stand-by just in case you add additional users? What do the carrier plans actually provide? Are the unlimited plans actually unlimited? At what point or data consumption does usage start to throttle and slow down? Is it unlimited for all business lines? Verizon, for example, has a line cap of 10 users. A business can do a maximum of 5 groups of 10. That basically means that if you have more than 50 lines then it won’t work for you. If you can answer the above questions and clearly identify your actual need, you can determine which service plans and carrier is the best fit for you. All of the carriers offer similar style plans although pricing and coverage do vary and will need to be evaluated in the overall scheme of things. Remember to pay attention to the fine print and limitations for these plans as well and don’t be afraid to ask for contract customization that aligns the plan with your usage profile. Stay tuned as competition continues to grow pushing the big 4 to invest in their future offerings; IoT and 5G!